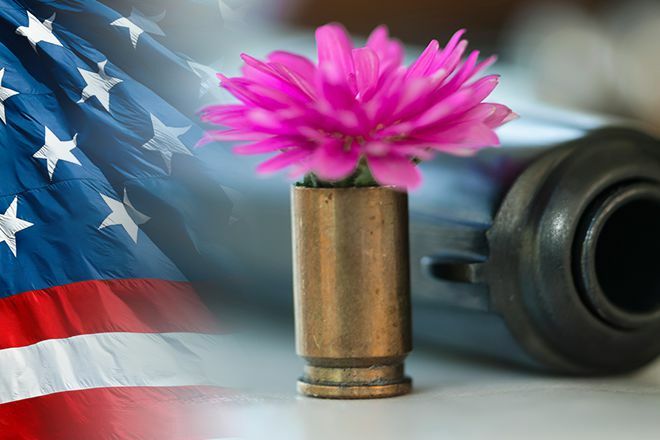 America’s romance with guns has less to do with history than and advertising and political machinations, and it is killing more people than most in the Unites States understand. In 2014 alone, there have been 294 mass shootings as of October 1 – the 274th day of the year. Gun violence has claimed about 50 shy of 10 thousand lives and injured 20 thousand or more, and are tabbed as being the cause of death in 60 percent of all homicides. It is possible that deaths and injuries are under-reported, all studies on gun violence were defunded by Congress in 1996 with a simple insertion of a sentence into the appropriations bill that finances the CDC. “None of the funds made available for injury prevention and control at the Centers for Disease Control and Prevention may be used to advocate or promote gun control.” Though the author of that sentence – Republican Jay Dickey of Arkansas – disclaims that the intent of his eponymous amendment was to squelch research, and has regrets about effects that he now says were entirely unintended. The amendment was applied by Congress to funding for the NIH in 2011, and the GOP in the aftermath of the Charleston church shootings upheld the Dickey Amendment on the grounds that a gun is not a disease, no matter if the bodies are stacking up like cordwood. One would almost think that certain elements of US industry and special interest groups do not want the public to learn about gun deaths, and to believe that the only way to protect themselves is with more guns. The NRA has lobbied extensively since Barack Obama’s election in 2008 when it spent $1.6 million, spending over $3 million in 2013 and 2014. The hysteria over “gun grabs” has helped to fuel a fringe element’s ascent into the mainstream, putting the price of the “well-regulated militia” that gun owners are supposed to represent under the 2nd Amendment at the price of over 400 thousand deaths from 2001 to 2013 that include accidents, homicides and suicides. Our love affair with guns harks back to the heroes of the Revolutionary War, the cowboys and archetypes of the Wild West, the pioneers and pilgrims who settled the country, and the citizen soldiers of WW2. The citizens of Dodge City in the old west had a taste of gunslingers, soldiers, cowboys and hunters who shot each other up at will and presided over lawlessness and impunity. But for all their violence, the rowdies of Dodge never shot up the church or the schoolhouse. The citizens of Dodge City needed lawmen willing to replace the rule of the gun with the rule of law. They instituted the first gun control law, instituting a “deadline” restricting the wearing of guns to south of the railroad tracks. We now find ourselves some 130 years down the road in need of such men and such public will. We as Americans must determine where we stand, and whether the voices of those 400 thousand dead will be heard. In an ever changing world, I will be working on a new humanitarian effort that will deal with issues like this.